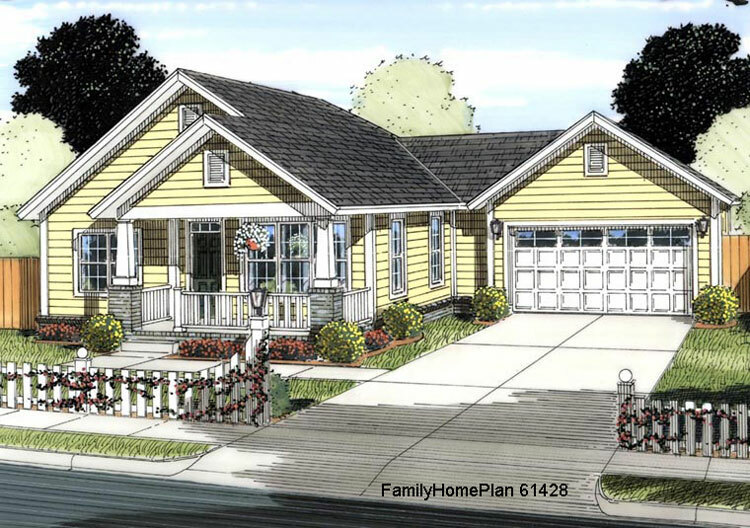 We have gathered a collection of small house floor plans, all with front porches, to give you plenty of ideas to create an amazing home for your family. 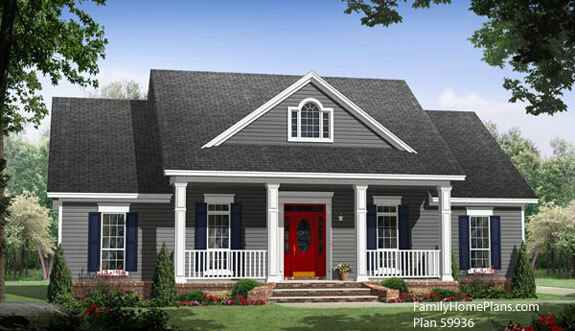 From small country house plans to more contemporary ones and with so many in between, we know there's a house plan online that will meet all of your needs. 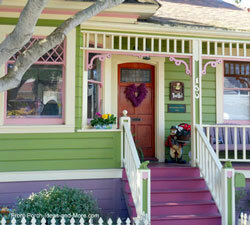 Mary and I love small homes with quaint front porches and know you will enjoy seeing those we've selected. 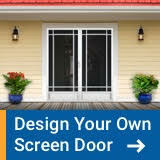 You'll find design ideas along with photos to help you visualize your potential new home. 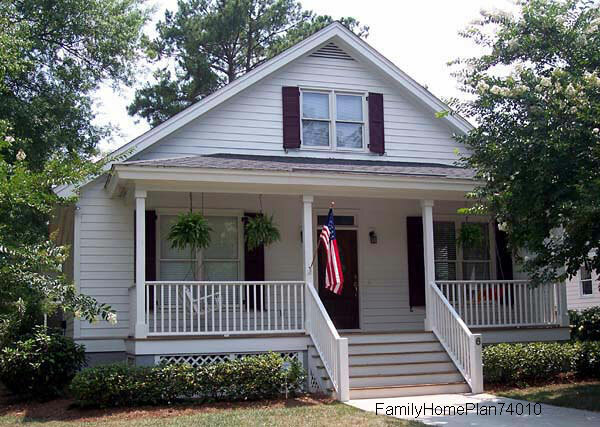 At just over 1100 square feet this quaint home has lots of space along with a back porch too! The kitchen opens to the dining area and has lots of windows to give it an airy and open feel. 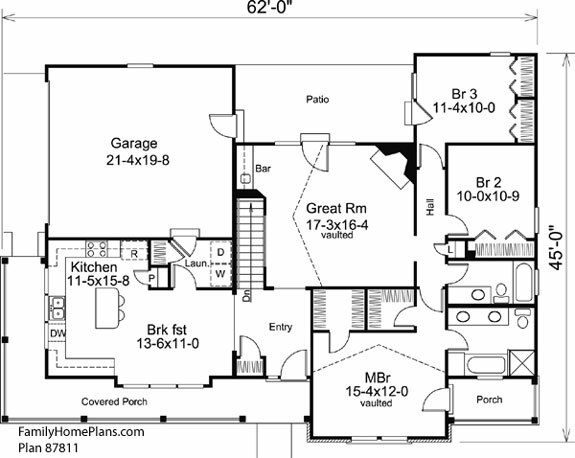 Do you need to tweak the plan a bit to create the perfect space? That's fine; most of these plans can be modified. 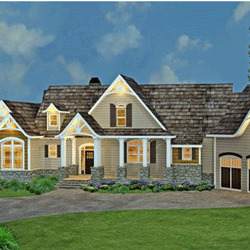 This small country house plan features deep front and back porches that extend across the width of the home. Cathedral ceilings adorn both the living and dining areas making it feel extra spacious. A wood burning fireplace makes this home extra cozy. 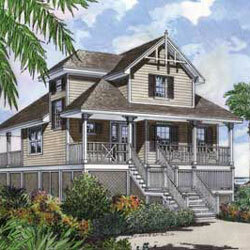 The galley-style kitchen has a view of the back yard and a loft bedroom will be perfect for your guests. Take a look and you'll know why. 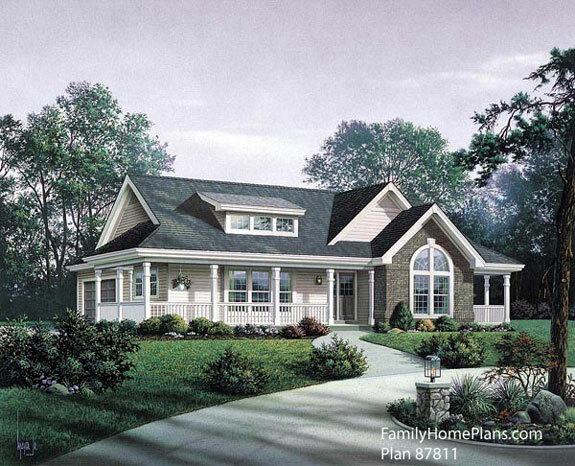 This charming small country house plan is full of surprises having only 1591 square feet of living space and a neat wrap around front porch! 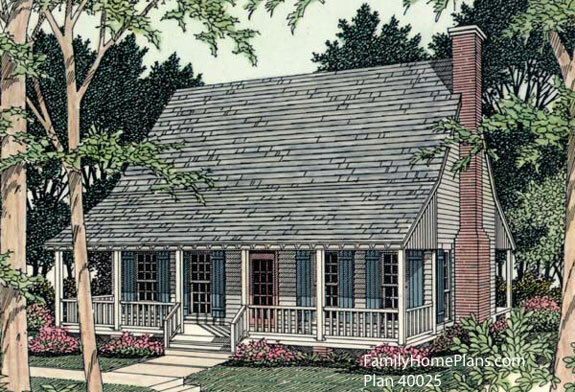 This picturesque home provides lots of amenities in only 1640 square feet. We really like the wide front steps which make the entrance appear more grand. 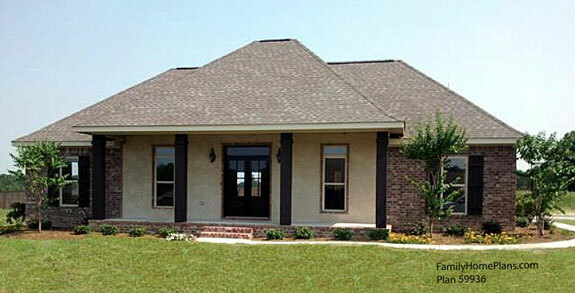 One advantage of house plans online is the ability to modify the plan to fit your specific needs. 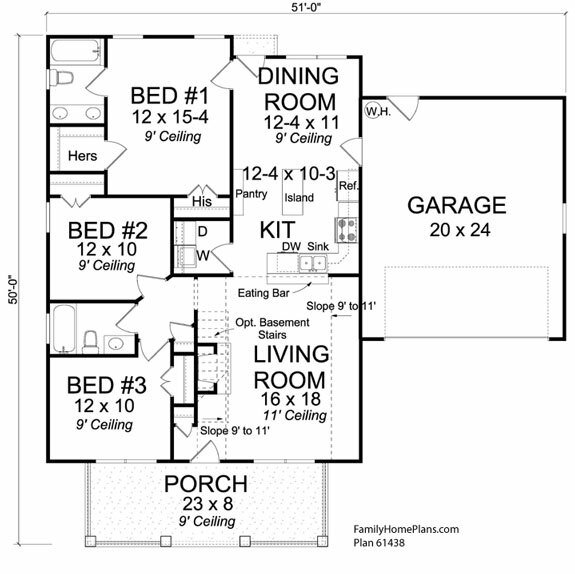 With that in mind, lets walk through the plan to see how we might modify this small house plan. The first thing we see are narrow windows. Ample space is available to install larger windows which would allow a lot more light and make the exterior appear larger. We'd also opt to move the fireplace to the opposite wall. The front door, when opened, hides the main feature of the great room. You can make it a focal point by moving it to the other wall so it can be seen when entering the home. Depending on your storage needs, you could easily convert the storage room off the carport into interior storage space by opening the hall closet in to it and removing the outside doors. 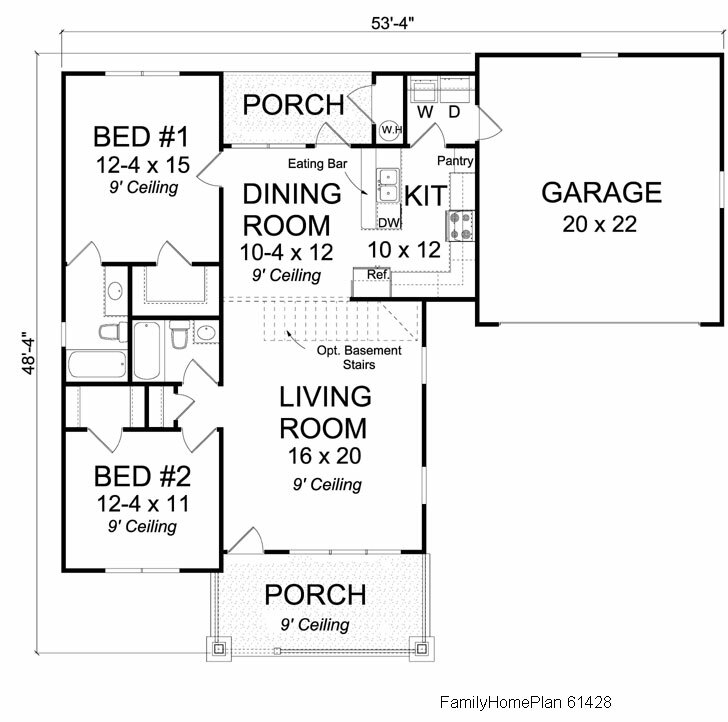 This is an actual home built from this plan. Note how they changed the roof style from the original plan. 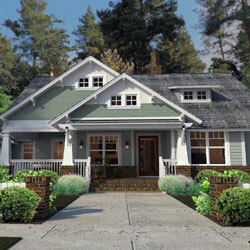 You need to spend time looking at your online house plan to ensure it has all the features you want within your budget. Front Door Placement: Note the placement of the front door. 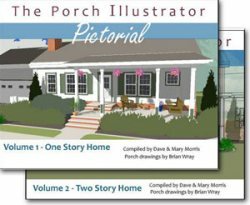 Front doors installed in the middle of the porch basically create two separate porches and can sometimes limit the porch's functionality. 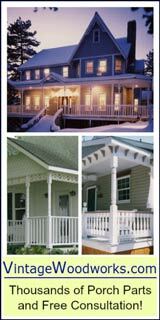 However, a door in the middle allows you to treat each side of your porch separately. 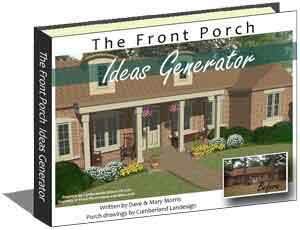 You may want to use one side for entertaining and the other for relaxing with a good book (or iPad). Add Windows: Often plans call for a minimum number of windows, small windows, or windows not positioned to optimize the view. 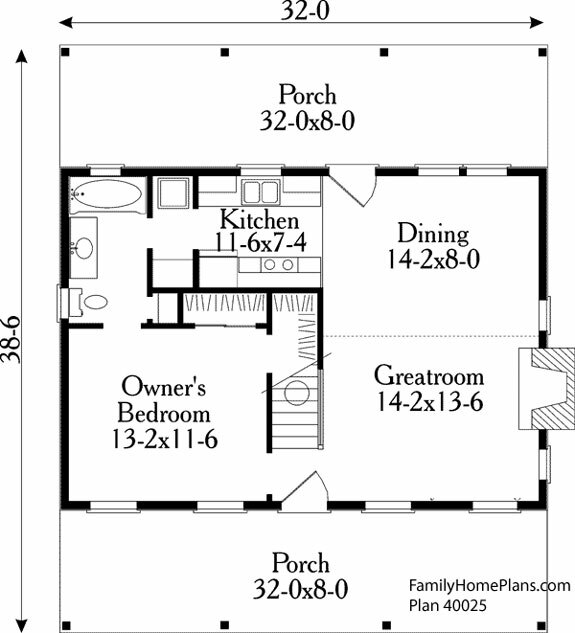 We opted to add extra windows on our plan and made them a bit larger for extra light that can make a small room appear larger. Lights: Ordinarily, closets have lights. 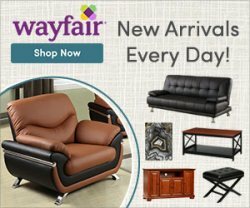 However, you may find that a storage closet or pantry does not. 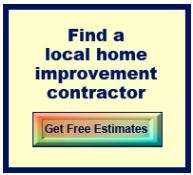 Consider installing lights in all accessible areas; you'll be glad you did later. Light Switches: Look over your final plan to ensure light switches are located where you will need them. Walk through your plan as if walking through the finished home and turn lights on and off as you go. You don't want to have to cross a room to turn on a light. 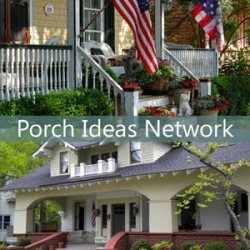 See our small porch design and idea section for some unique and fun ideas. Storage space can be at a premium in small homes, but it doesn't have to be. 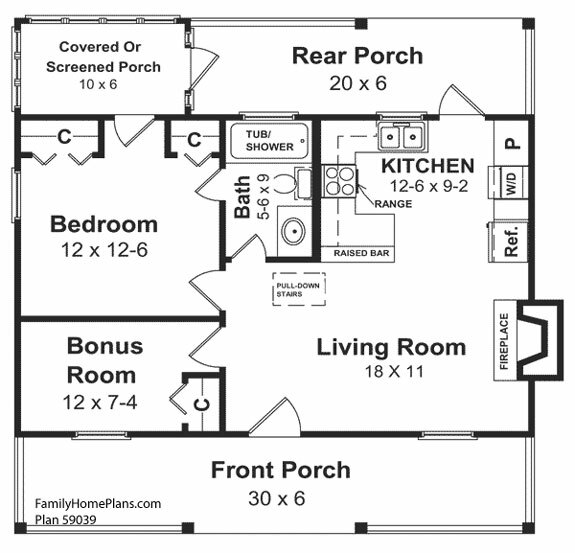 When looking at small house floor plans, envision where you might be able to add additional storage features like those we describe below. 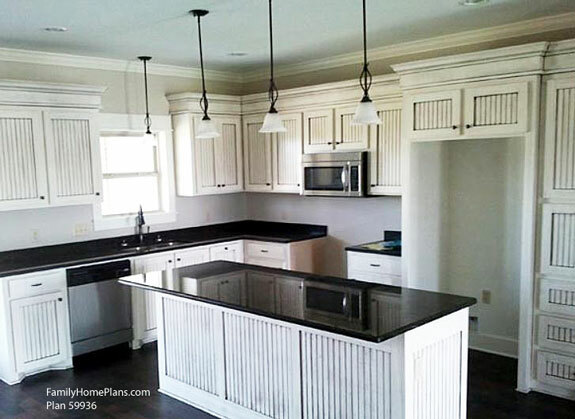 Consider areas on your plan where you can add built in storage like shelving or closed storage space. 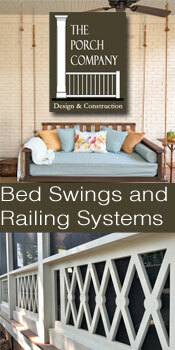 Shelving, magazine or book racks, wine racks, and small cupboards can be installed between wall studs. I built a can-goods pantry in our kitchen between wall studs. It shares space with an adjacent closet and can store over 80 cans. The space under stair cases is also an optimal place to create storage. Don't overlook the space above doors, especially in closets and bathrooms. Shelving can double as room dividers. Removing several studs and installing a header on a non-supporting wall can open up lots of possibilities for built-in desks and work areas. 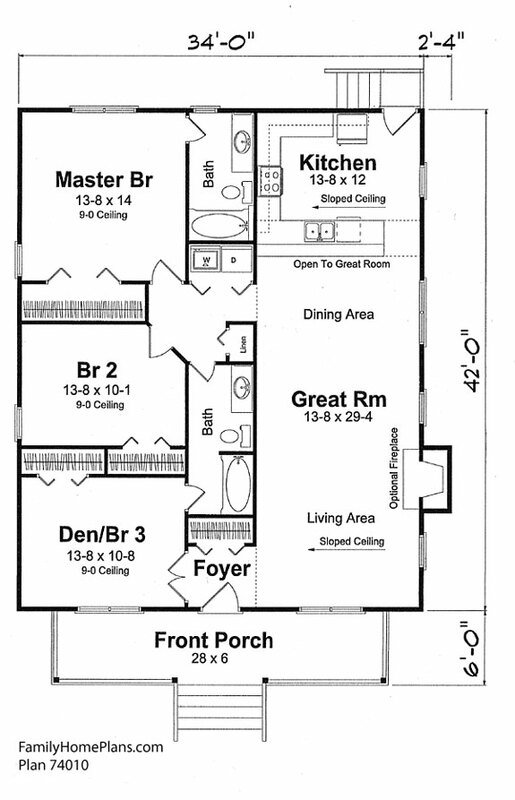 We show several floor plans below to see if you can visualize exteriors. 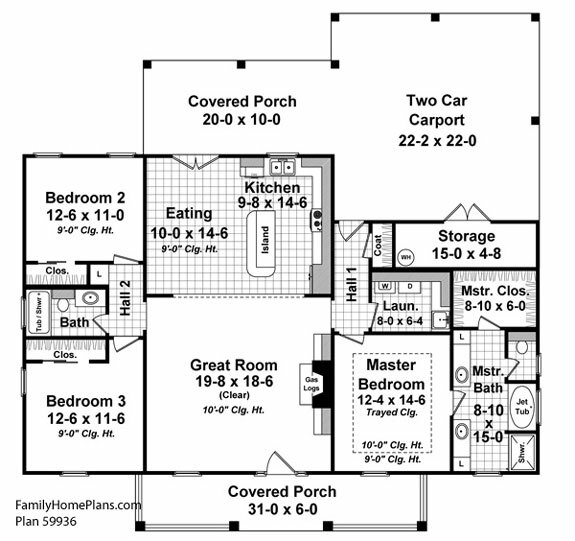 Click on the small house floor plans to see what your small dream home could look like!